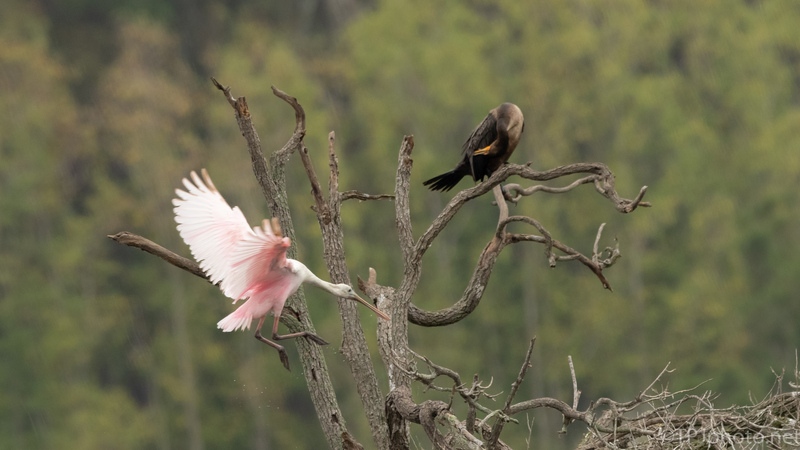 Spoonbills always make for great in flight photographs. 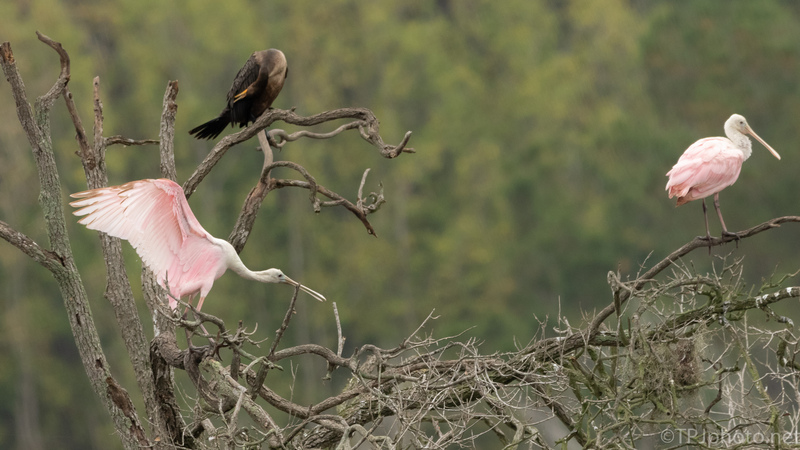 Besides the obvious pink color they use their big wings as an effective break to slow themselves down. 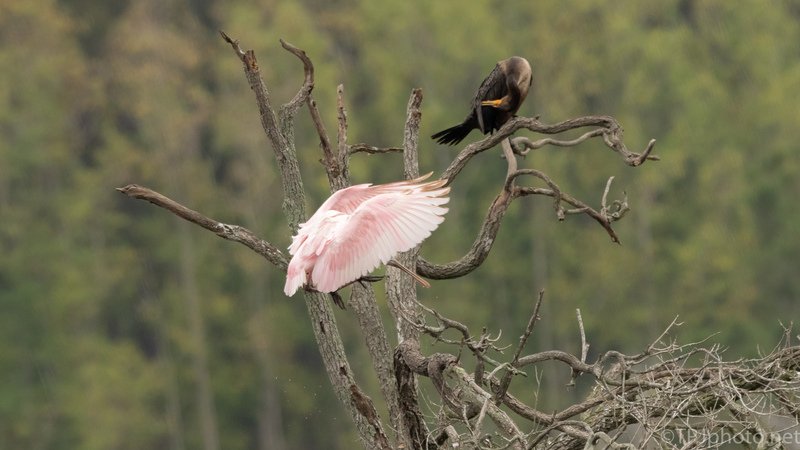 Below is the flight shot I wait for, the wings folded and bringing the bird to a stop. 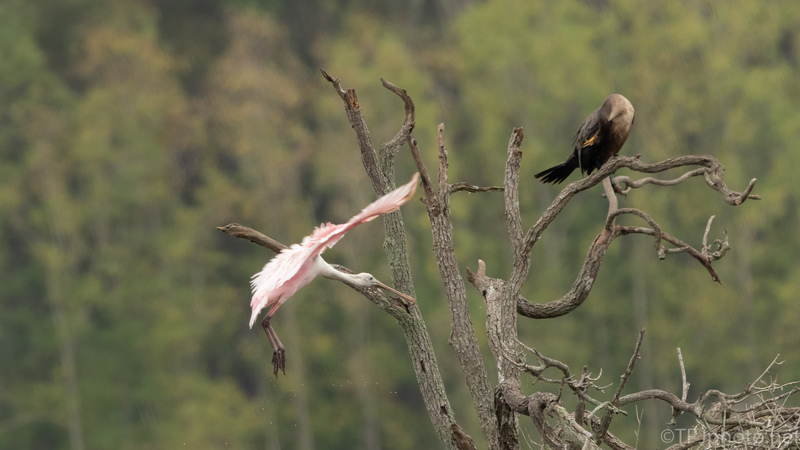 Wood Storks do the same thing with their huge wings. It’s like a parachute. During this whole thing the Cormorant up top is paying no attention at all.